I have a short list of items I like to pack when we travel with the kids. The older they have gotten the smaller the list has gotten. They’re more easily entertained and adept travelers. One thing that hasn’t changed – they want to be comfortable. We spend a lot of time in cars, planes and trains and I can almost always count on them taking a good, long nap. A soft travel blanket and travel pillow are two of the first things they add to their backpacks. 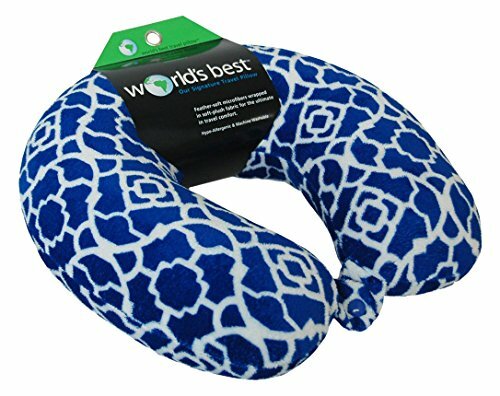 If you’re searching for the best travel pillow for your little globetrotters here are a few we like – and think you will too! If you’re looking for a pillow that is good for car or plane trips you’ll want to consider a few things for your toddler. First, remember they have smaller heads and necks. Choosing a pillow that is built for their size and proportions will make sure they are comfortable. Second, there are multiple styles of pillows available. Some are more aesthetically designed. While a cute animal pillow is fun if your child has sensory issues a pillow that has “animal hair” might irritate them more than comfort them. Third, what is your child used to? If they aren’t using a pillow in bed at night just yet then they may be more comfortable resting on you. If they are used to a soft pillow then look for pillows that are soft vs firm (or vice versa). Give yourself enough time before travel and consider purchasing two or three options for pillows and testing them out. Most all companies allow for returns so take advantage of this policy. If you have older children then you have a few more options. Which pillow you ultimately choose will depend on the age and size of the child. A pillow for a five year-old should be different than a pillow chosen for a fourteen year-old. 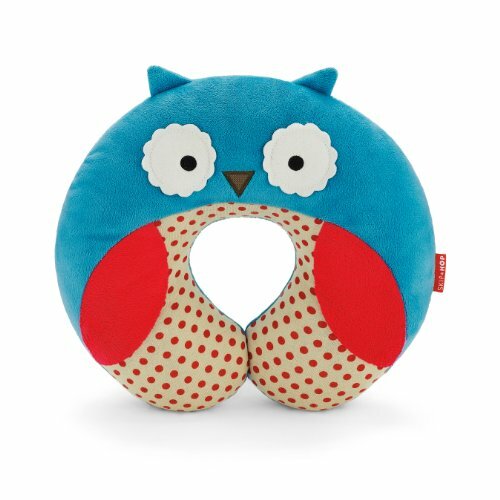 will your child be using this travel pillow while also buckled into a car seat? If so consider how the pillow will work in conjunction with the seat. how big is the pillow? Do you really want to or need to be hauling a bulky pillow around if you’re traveling? 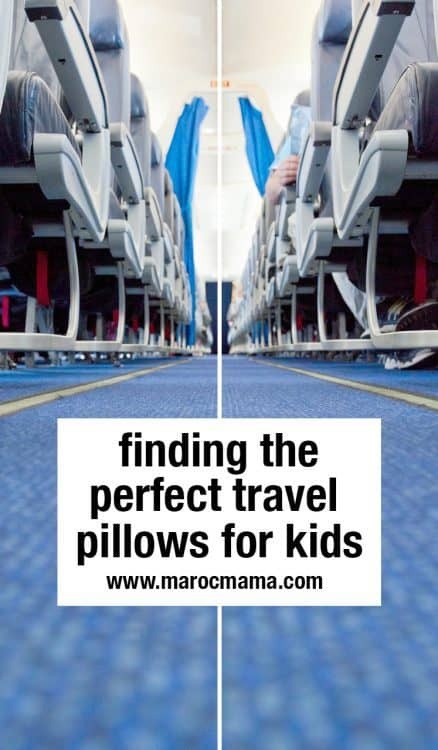 Choose a travel pillow that not only works for your child but also works for your travel style. can the pillow do double duty? There are some animal travel pillows that are popular with kids. These can double up as a stuffed animal at your destination – actually saving you space and gaining function in your travels! is there another type of product to consider that would accomplish your task? For example for car rides choosing a seatbelt pillow cover might be a better choice than a travel pillow. For much older kids (think teenagers) you might consider a regular size travel pillow. This will depend on the size of your child but having a bigger pillow may be better – plus at that age they can carry it themselves! If you’re searching for a natural, organic travel pillow for kids look no more. 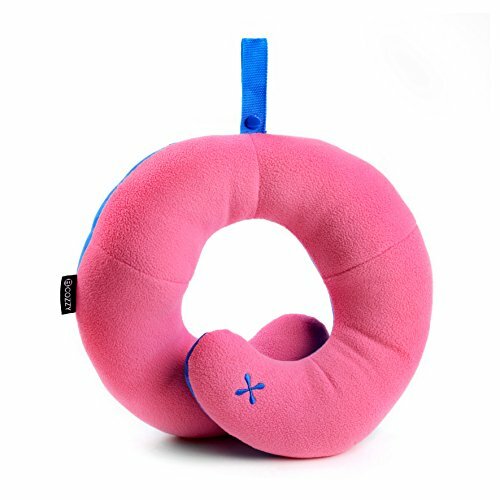 This toddler travel pillow is designed for small children but could also be a good size for older kids traveling who just need a little bit of support. Seeking small pillows for travel? This one is an ideal for car pillow or for use in a stroller. The shape resembles hands cradling the head. The two hands prevent sideways tipping while center part support the chin prevent forward head fall. 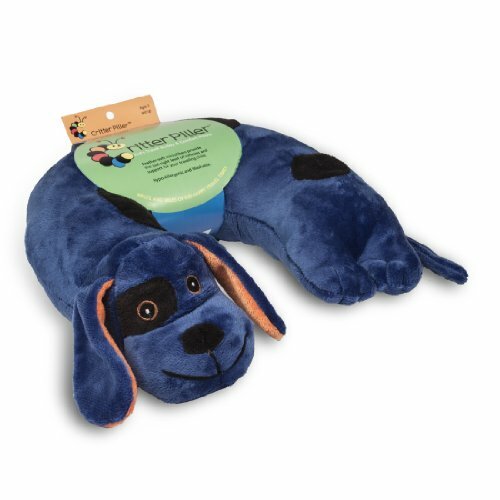 Made for younger children your little ones will relax with this toddler travel pillow. Best suited for children over six this head pillow is what most people think of when they think travel pillow. The design contours to the shape of the neck and position of the pillow making it a good choice as a car travel pillow as well. You know Memory Foam mattresses but the company also makes travel pillows. These pillows meld to the shape of your neck and head as well as having a washable outside cover. Good for bigger children and teens. The Trunki kids travel pillows are a good choice to help prevent head rolling while sleeping. It also comes in lots of really cute designs. It stays connected under the neck with small, hidden magnets. A great choice for younger children and one of the best kids travel pillows on the market. 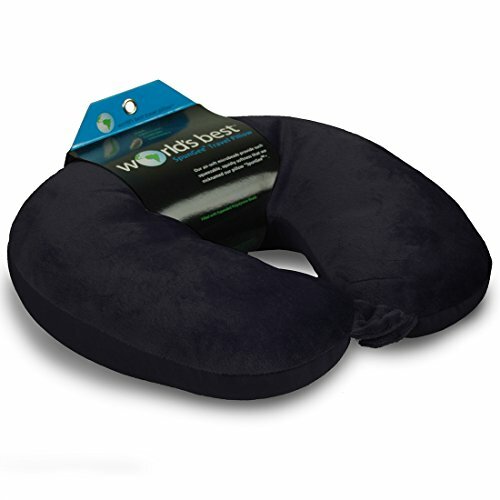 This super soft neck pillow for travel is a good choice for teens who have a bigger head and neck. 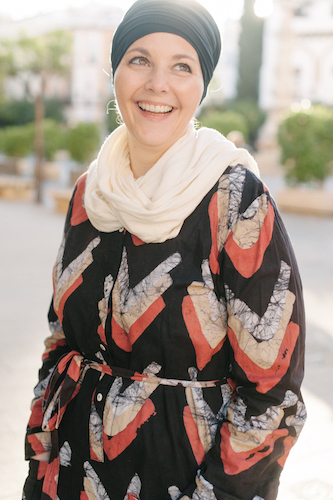 The fabric is easy on the skin and it doesn’t look childish at all – very important for the tween and teens in your life. It’s available in multiple colors so each child can have their own with no confusion. 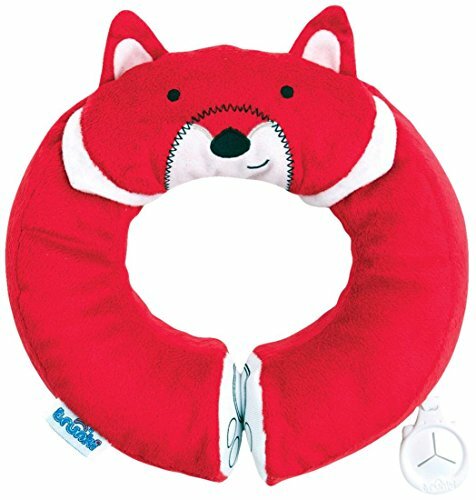 How adorable is this animal travel neck pillow? Not only will it support your little one’s head but it can double as a stuffed animal to snuggle when you’re at your destination. There are several other animals like a giraffe available as well. Our youngest son had a travel pillow from this company when he was smaller (it was a lion) and he loved it. 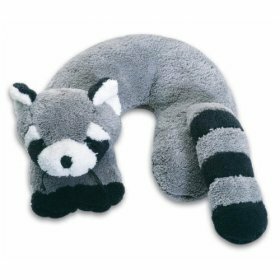 This kid travel pillow is available in lots of fun animal designs including this raccoon, a pig, frog, cat, and more – another great pillow and snuggly! A puppy for your neck – why not?? This pillow comes in different sports team mascots. They’re great for older kids who aren’t quite ready for an adult size neck pillow but don’t want something that looks too childish. 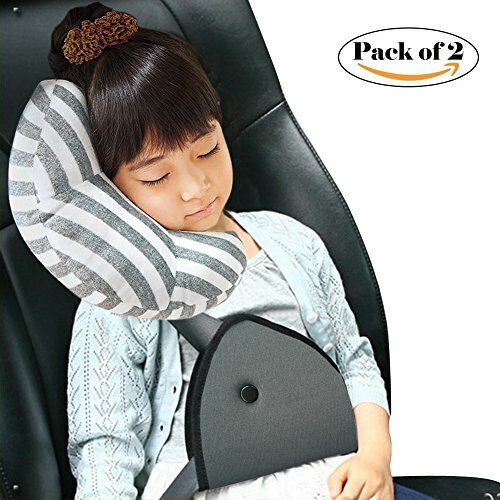 A good option for kids that are in a booster seat and need a little more support, this combination seat belt pillow and adjuster will make sure your child is comfortable and safe! Don’t you love this cute seat belt cover? 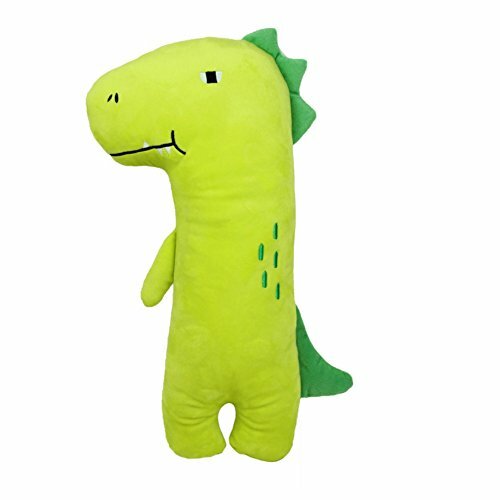 You can choose from cute designs like this dinosaur, or 15 other designs. The animal pillows are large enough for comfort but small enough that they will be a good option for a variety of ages. With so many choices out there, we hope this gives you a great place to start!